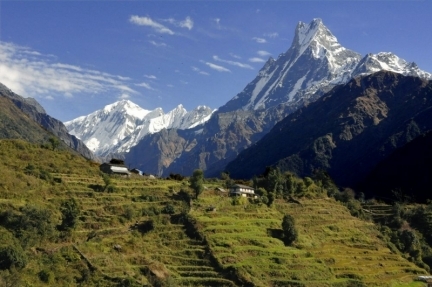 In 2013, the Governement of Nepal and the World Bank launched the Building Resilience to Climate-Related Hazards (BRCH) project aiming at transitioning Nepal's hydro-meteorological services into a modern service-oriented system that will build resilience today as well as adaptive capacity for the future. The project intends to enhance government capacity to mitigate climate related hazards by improving the accuracy and timeliness of weather and flood forecasts for disaster preparedness by the general population and warnings for climate-vulnerable communities. It is in this frame, that MFI just won a contract for the supply and the implementation of a hydrometeorological workstation (SYNERGIE-WEB) and an automated production system (METEOFACTORY®) that will allow Nepal's national met service better monitor and forecast hydrometeorological conditions and issue relevant warnings for severe meteorological phenomena such as storms, heavy rain and floods. In addition to its technical solutions, MFI will also provide a full range range of support services such as training, integration and technical support.